You may be right. But you know what? I am okay with that! Seriously, when the husband and I started losing weight – the one thing I said I couldn’t do was give up foods I love. I love buffalo anything and everything. But it usually comes deep-fried and loaded with butter. Nothing wrong with that, unless you’re trying to avoid fried food and excessive butter. So I needed ways to curb my craving so I didn’t go on a crazy hot wing binge. Enter a really easy and delicious buffalo-style shrimp. 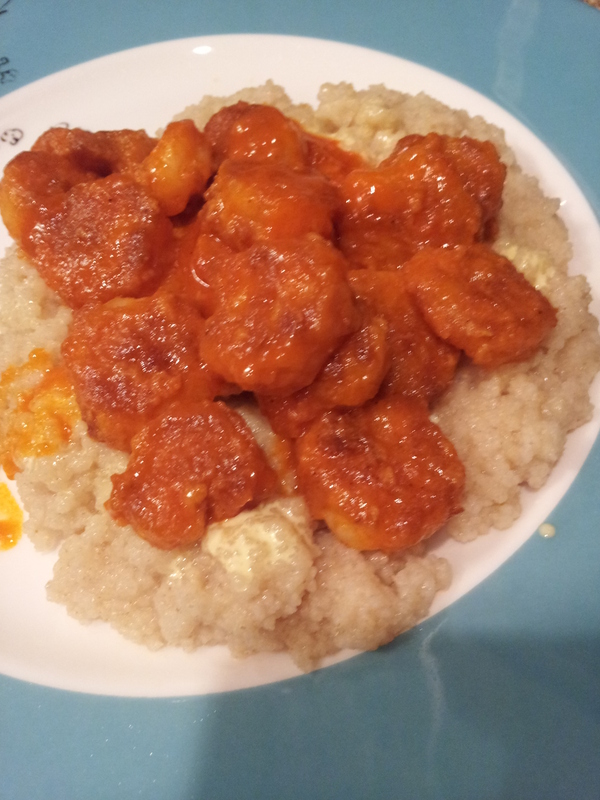 This is great with mashed potatoes (particularly blue cheese mashed potatoes) – buuut I didn’t have potatoes on hand so I just poured the shrimp on top of some whole wheat couscous! Not too shabby if I do say so myself. 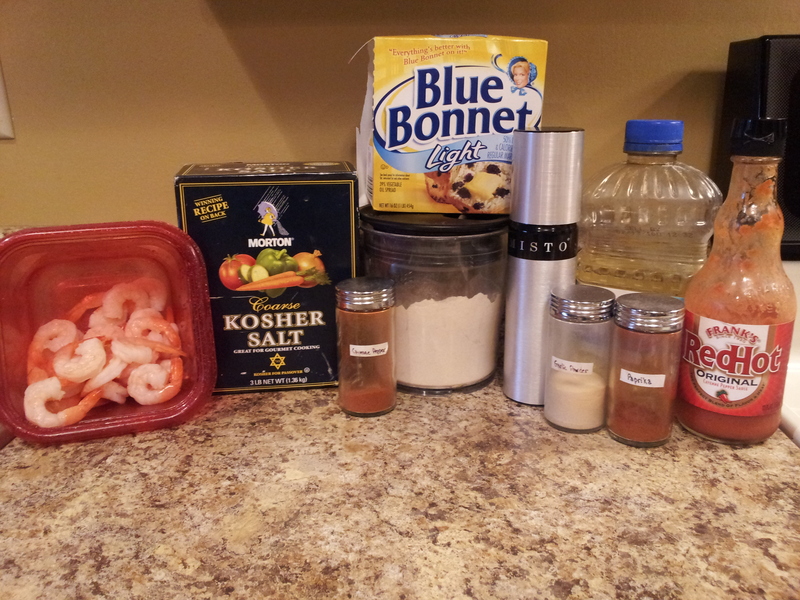 Thaw your shrimp and remove tails if needed. 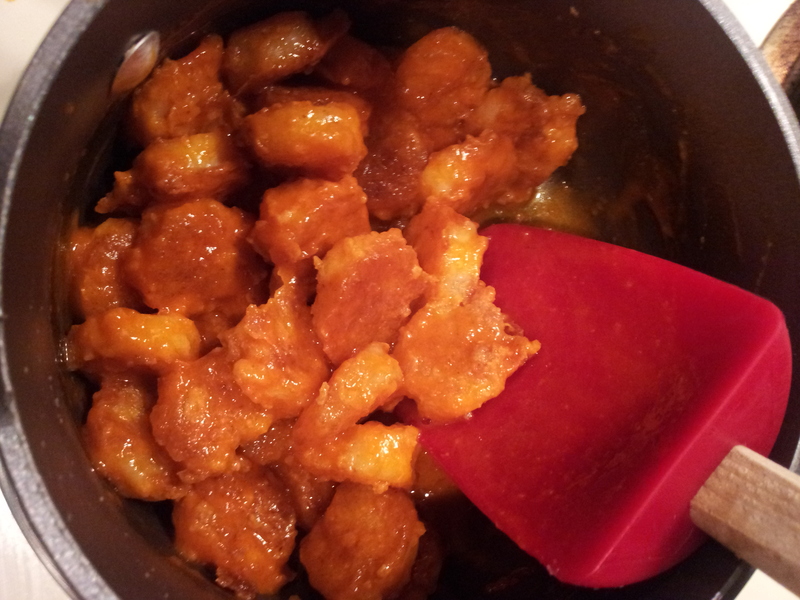 Mix together your flour, garlic powder, cayenne pepper and salt. 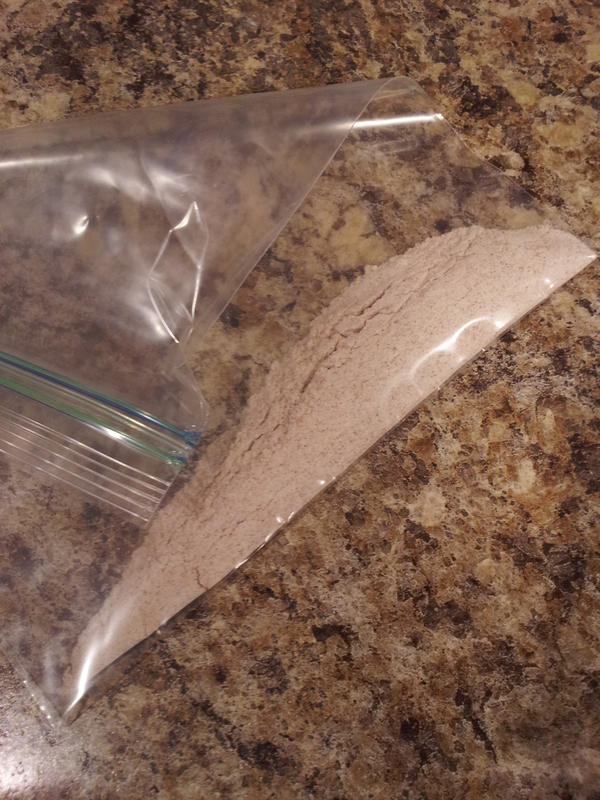 Add to a small Ziploc bag and shake until combined. Pat shrimp until slightly dry. Heat your oil in a medium to large skillet over medium heat. 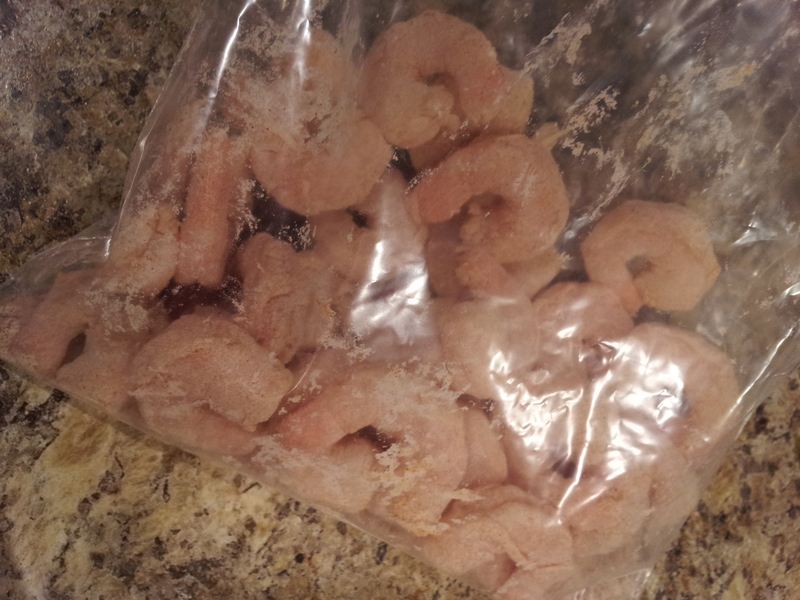 Add your shrimp to Ziploc bag and seal, leaving some air. 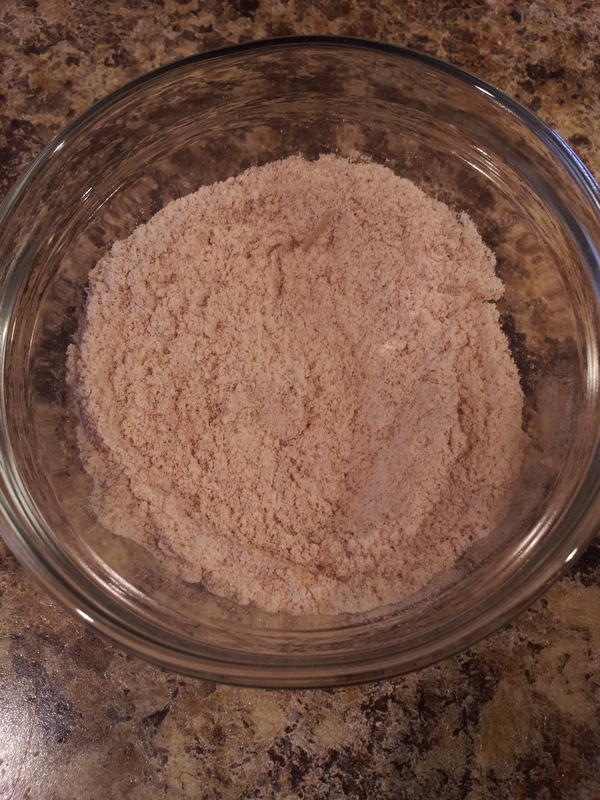 Toss until shrimp is coated with flour and seasoning mixture. When oil is heated, add shrimp to the skillet. Cook for 3-5 minutes and then flip, cooking another 3-5 minutes. 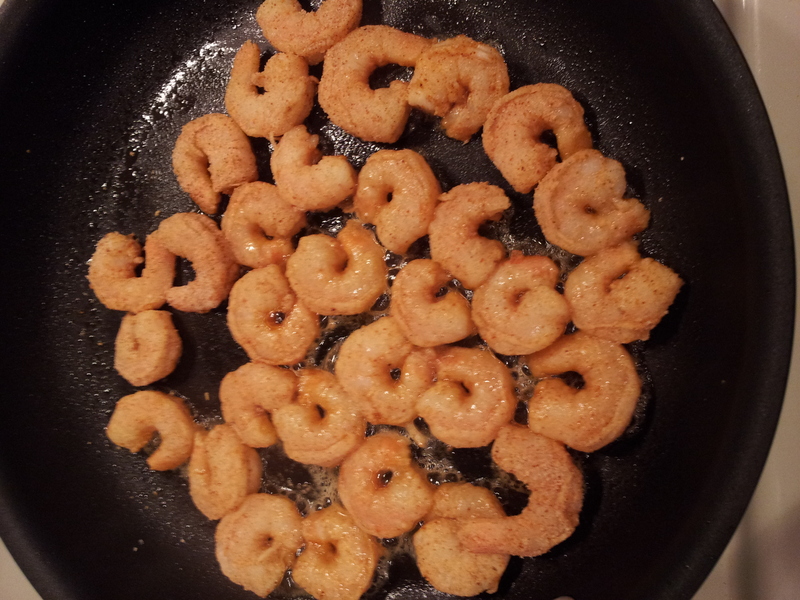 You should get a good golden brown color and a crisp coating on the shrimp. 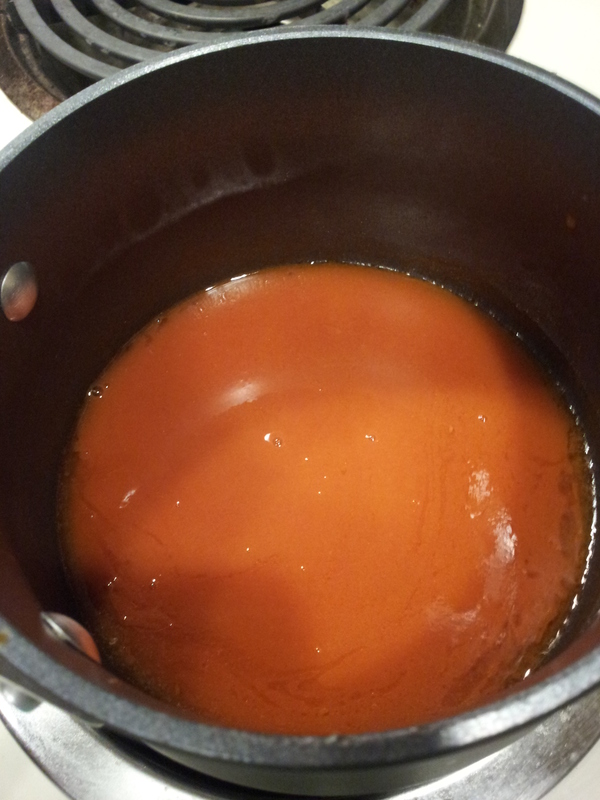 In a small saucepan, melt your butter and whisk in hot sauce. If you don’t have a great heat tolerance, you can add some honey to tone it down a little (this would affect your points value). 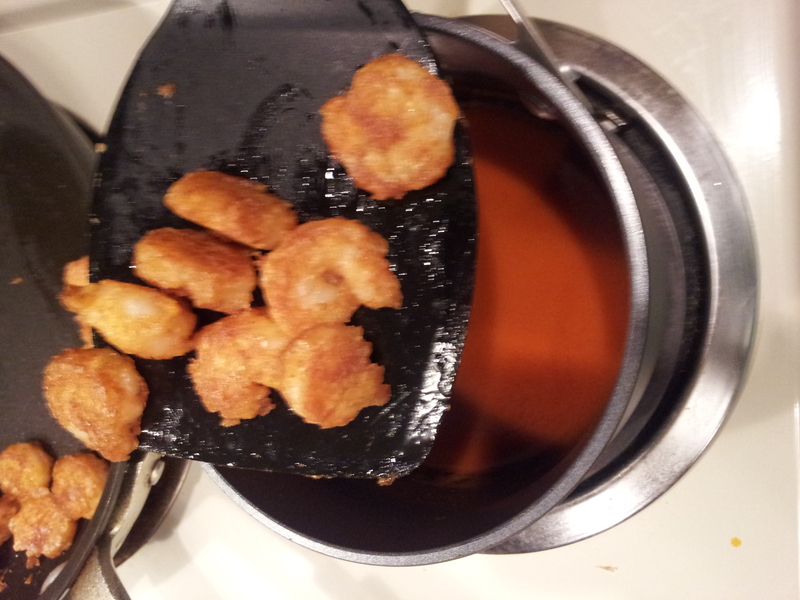 Add shrimp to sauce and toss to coat. 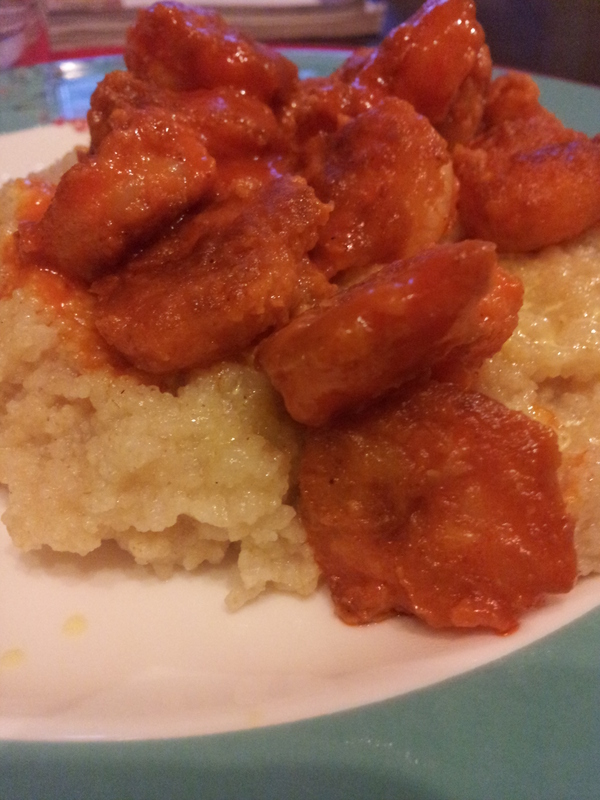 Serve with potatoes, couscous, rice or just by itself and dig in!